I like this printer. How much do they cost and is it a colour or black and white? The Dell 3000cn is a colour laser printer. We don't sell printers so can't really advise on cost but I did carry out a quick internet search and it appears that Dell have discontinued this model so you may have to look for a newer model, Dell or a printer specialist will be able to advise you in more detail. Hi, do the large capacity colour cartridges fit the Dell 3000cn or just the 2,000 page ones? Unfortunately, the Dell 3000cn printer only uses standard capacity cartridges that will print approximately 2,000 pages. No matter what colour of laser toner you need for your Dell 3000cn printer, Cartridge Save has them all for a price that is out of this world. Tell Cartridge Save what you need and we will provide your Dell 3000cn toner cartridge to you quickly with an affordable price tag that will leave you smiling rather than grimacing. This will not only help you to get your Dell 3000cn laser printer up and running, but allow you to enjoy it even more knowing it is an affordable purchase. If you need to buy Dell 3000cn toners, Cartridge Save can help! Not only are our prices more than affordable, and with FREE delivery, but our award winning customer service team are courteous and can help you find exactly what you need. In addition, if there is anything wrong with your order at all, we can help you with a replacement or 100% money back if returned inside 12 months. We are this confident in our products because we know that you need only our best, and that is what Cartridge Save delivers with every order. The Dell colour laser printer 3000cn is a workgroup printer that can print in both colour and black & white. This printer is able to print up to 25 pages per minute in black and white, while in colour it is able to print up to 5 pages per minute. In addition, this printer can produce a maximum resolution of 600 x 600 dpi and uses 2400 IQ to enhance images. This printer also employs a 300 MHz processor and 64 MB of RAM to handle incoming print jobs. This printer can also produce a monthly duty cycle of 45,000 pages. This printer is a space-saver and does not require much room. It only requires 42.41 cm in width, 41.91 cm in depth, and 43.18 cm in height to be placed somewhere. The Dell 3000cn sits heavily at a weight of 23.99 kilograms and comes with a built-in LCD screen that displays status and print information. This printer is also designed to print on various medias such as plain paper, cards, coated paper, labels, envelopes, and transparencies. It is also equipped with a single automatic feeder that is capable of holding 150 sheets when full. Access to the Dell 3000cn toner cartridge bay is easy, making replacing quick and easy for users. One of the advantages of the Dell 3000cn is it can be used as a print server for computers in a network. This printer's memory can also be upgraded by using the memory expansion slot that is available. It will allow you to upgrade RAM to 576 MB and will improve speed. This printer only uses 340 watts of energy during operation. During standby, this printer is able to reduce its electricity needs down to 82 watts. A full range of Dell 3000cn toner is available from Cartridge Save at reduced pricing, helping to further reduce your cost of running. This printer does not come with a scanner or copier, which is one of its biggest disadvantages. Another disadvantage is its speed during colour printing. This printer is also very loud during standby and creates a sound emission level of 40 decibels, but it is even louder during operation at a noise level of 63 decibels. 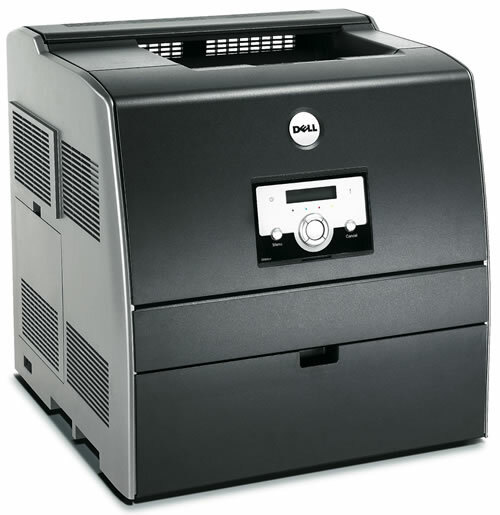 If you are using Linux or have a Mac, you will need to consider another printer since the Dell 3000cn cannot be installed on these operating systems.